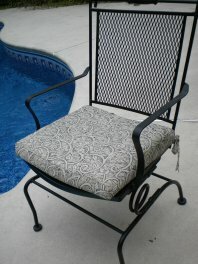 Patio chair replacement cushions can make your outdoor furniture look like new. 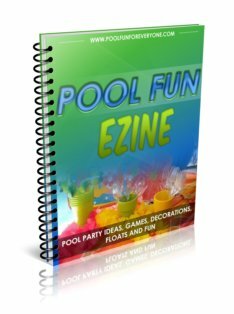 New bold colors can give your patio and pool area a new look and provide a fresh design to replace faded or worn looking cushions. These cushions can be purchased in stores like Target, Home Depot or Lowes. I've also bought them at Tuesday Morning and SteinMart as well. However, if you are going to buy them in a store, you need to buy them early in the summer season before the selection is gone. If you wait too long you may find that there are not enough of the same color/design cushions for your outdoor dining chairs. Your outdoor cushion fabric can give your old outdoor furniture a new look - whether it's a bold, bright blue or a more natural mossy green. The color, design, and quality of the fabric are just as important as choosing the right size. Find a fabric that is fade resistant and water repellent. 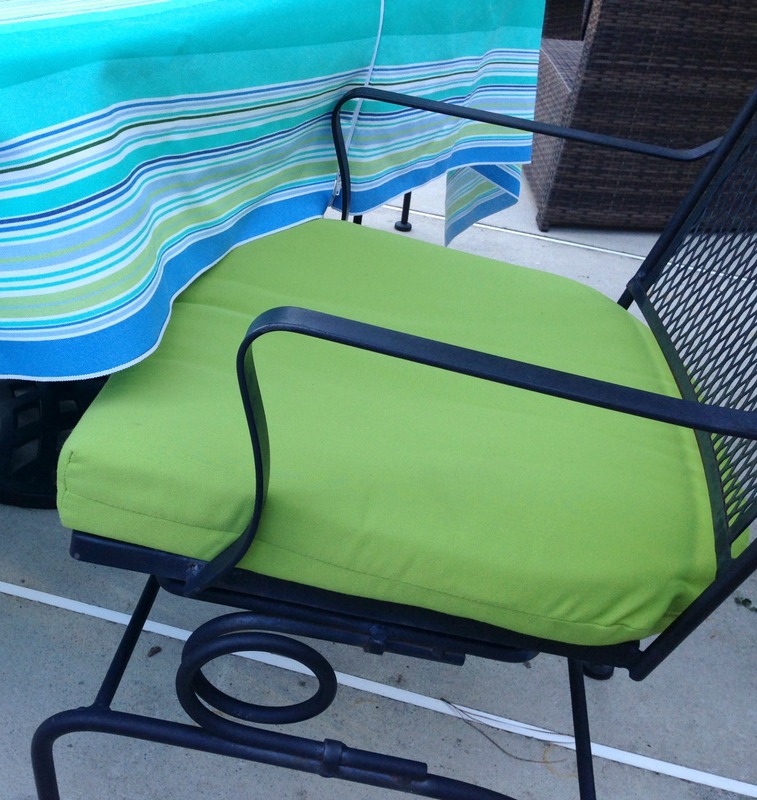 Our favorite outdoor fabric is Sunbrella fabric - which is what is pictured. We've had these cushions for 4 years and leave them out all summer. Their color is as vibrant as the day we bought them and still without any stains. 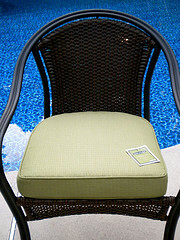 Sunbrella outdoor chair cushions are made from top of the line outdoor fabric. Sunbrella outdoor fabric has been available for the last 30 years and was originally used as awning and boat fabric. This company knows what it takes to make a durable and fade resistant fabric. Even though these outside chair cushions cost more than other brands, they will retain their color and last longer than cheaper brands. Known to be mold and stain resistant they offer a good value if you don't plan on replacing your cushions for many years. Many times you will find a 5 year warranty against fading. 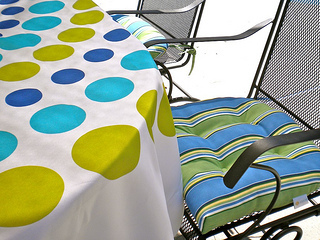 This outdoor cushion fabric is spill resistant. Meaning that any spills or rain water will bead up and sit on top of the fabric. Simply wipe clean with a damp cloth. Amazon also carries Sunbrella outdoor chair cushions. So check them out. Shopping on-line - especially if you need six matching replacement cushions - can save you a lot of time and running around. 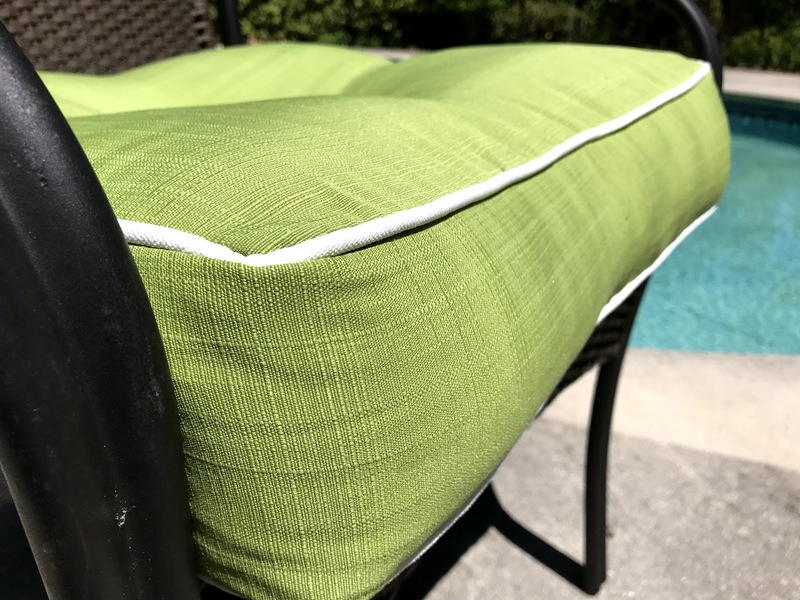 Outdoor chair cushions provide not only a decorative touch and color to the outside pool area, they provide some "cushion" and comfort as well. 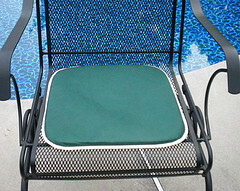 When I think of outdoor chair pads I picture these patio chair pads purchased by my brother-in-law, John. When he put the pad on my chair, I said,"Why bother?" Of course my sister loved it, because she couldn't figure out why he would waste money on chair pads that don't provide any cushion. 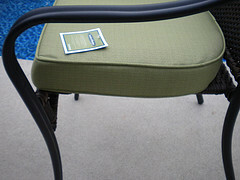 When I held up my nice thick outdoor furniture cushions next to his thin little chair pad, I said, "See the difference?" These new replacement patio chair cushions are a full 3" thick. They make any patio chair feel comfortable. Outside chair cushions come in different shapes. The ones I bought for our cast aluminum chairs have a rounded seat. You can pay a little or a lot for outdoor chair cushions. 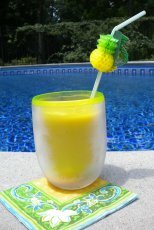 I saw them on sale last week at Leslie's Pool Supplies for $9.99 a piece and I have found Sunbrella chair cushions for as much as $50 each. However, finding the right number, color, size and price can be challenging. A boxed edge has a more finished look in my opinion. They are thicker as well and the seam is corded on the top and bottom for a more custom look. The only reason I ended up with tufted outdoor cushions to replace my existing ones is that they were the size and colors that I wanted. The tufted buttons give it a more custom look. The six outdoor cushions for our wrought iron chairs all have ties, which doesn't make it easy if you like to bring your cushions in. I found another set of cushions from Stein Mart that are just the size I need and have no ties, so I can quickly bring them in when we leave for vacation or if a storm is coming. Some cushions have a different coordinating design or pattern on the bottom from the design on the top. 2. 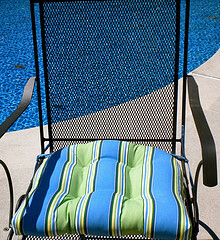 A one piece or two piece cushion that includes the seat and the seat back of the chair. Many people prefer cushions that pad the seat and the back like this one pictured. Indeed they can make any outdoor patio chair comfortable. But comfort means cost - so these cushions run close to $70 a piece. The best and most convenient way to store your outdoor cushions is with a weather proof deck box. Some people like to store their cushions when not in use, when a storm is coming up, or leaving for vacation. Yet others will store them just for the winter - either way you will need a deck box to protect your investment. 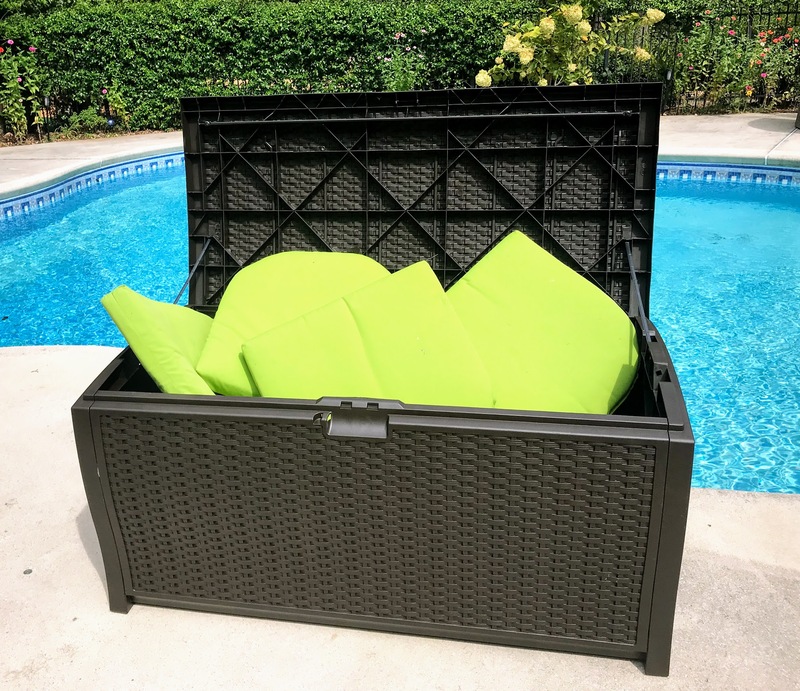 No more carrying your cushions back and forth to the garage, shed, or house when you can conveniently stash them in your poolside storage box. Our favorite is this 99 gallon deck storage box by Suncast. 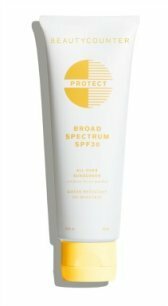 It keeps your cushions dry and clean during all weather conditions. What you need to consider when replacing your outdoor cushions are the size, the color, the shape, the thickness and the fabric.